It seems we have been cramming in the last days of summer around here. The last few weeks, um more like month, is a blur! We canned goods from the garden every weekend, did a few photo shoots, more canning, berry picking, and managed to squeeze in a small road trip to the Oregon Coast! No dog days of summer at our house! Even though today is September 1st, there are plenty of sunny days left in September in the PNW! After the Pinot Gris and Rosé have over done there stay, and the weather is still to warm for Pinot Noir..Sangria comes to take their place! 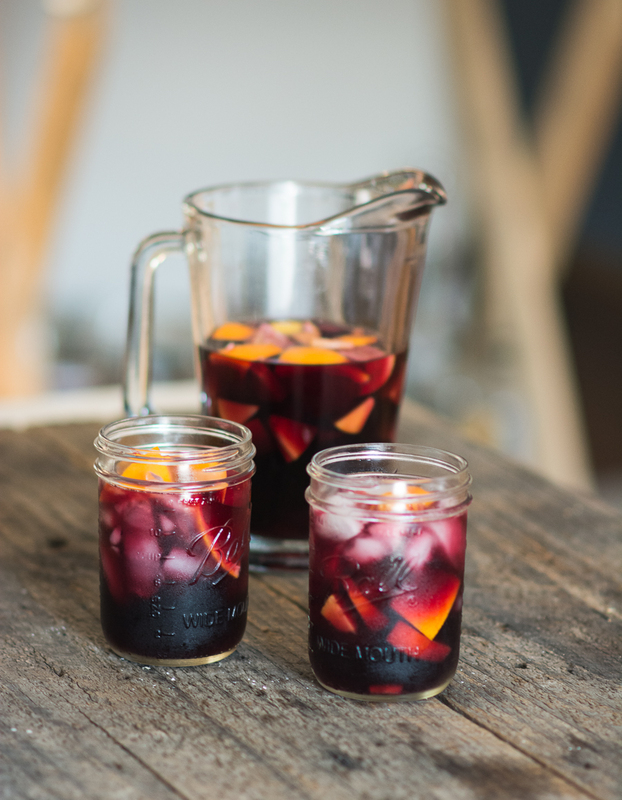 Summer just ain’t summer without making a big pitcher of deep red Sangria! One of our favorite drinks to drink chilled out on the back patio, and so easy to make. We use a big bold red blend for our wine, add some orange liqueur, brandy, and diced fruit. Serve over ice and you have a refreshing summer cocktail. Best served in large glasses in my opinion :) We made a double batch of this Sangria and brought it to our friends house for our dinner party, it was gone within the hour…I’d say that’s a good sign of a damn good Sangria! So here is to extending your summer another month, good times with friends, and getting ready for Fall! Pour wine into a large container, add both liquors and fruit. Yum. 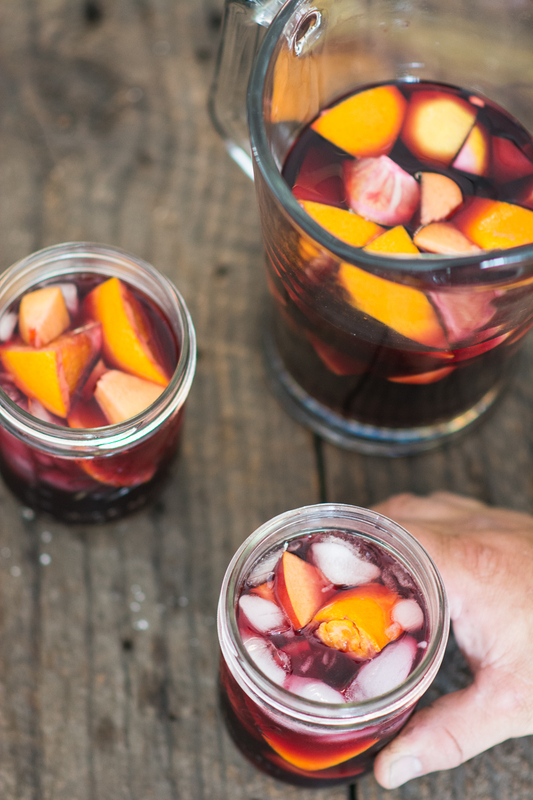 Sangria is such a perfect drink for warm summer (or fall) days! Especially with the really great peaches that are in season. Congrats on Moments of Thyme! That is so exciting! Can’t wait to see all of your photos. That looks delicious! I love a good sangria recipe! Looks so fresh it made me thirsty all of a sudden!